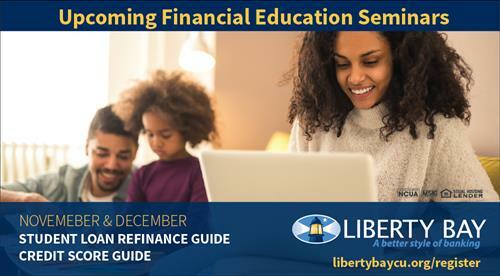 Liberty Bay Credit Union Presents: Your Credit Score Guide - Dec 5, 2018 - Burlington Area Chamber of Commerce ? Join us for a seminar to understand, improve and maximize your credit score! Maintaining a good credit score and monitoring your credit report for inaccuracies or fraud are two very vital measures of financial success. Our experts will educate you on your credit score, and then guide you on a path to a better score!